Amanda Simmons/Press-Tribune | A look at the completed puzzle that Elizabeth Curran of Bossier City spent eight months piecing together. 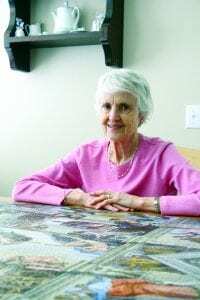 Amanda Simmons/Press-Tribune | Elizabeth Curran of Bossier City has completed a 5,000 piece Ravensburger puzzle and is now looking for someone to take it and display its “artistic beauty” for the public. Elizabeth Curran loves a challenge. She began putting jigsaw puzzles together as a child in Michigan. As she grew older, Curran always found time for puzzles. Curran, who spent 30 years working as a registered nurse and military wife, is retired and volunteers at the VA hospital. Her middle son, Randy, gave her a 5,000 piece Ravensburger puzzle for Mother’s Day last year. 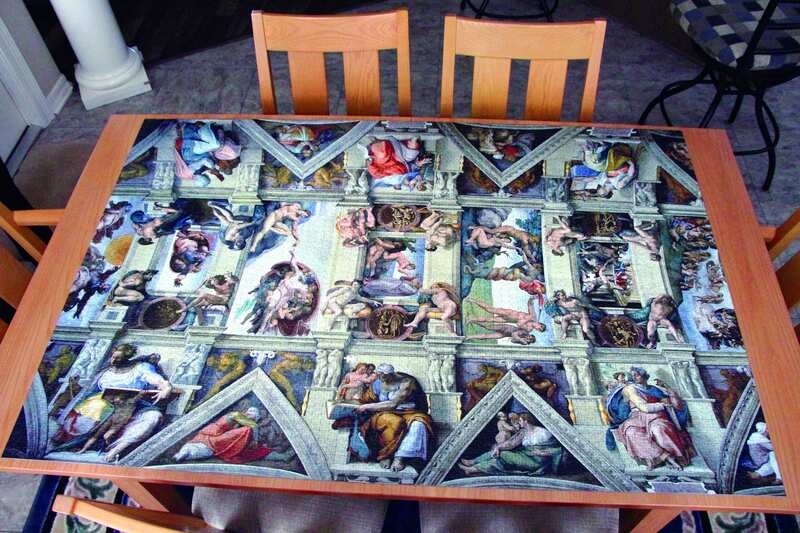 This particular jigsaw puzzle is of Michelangelo’s famous Sistine Chapel ceiling and measures 60″ x 40″ when complete. 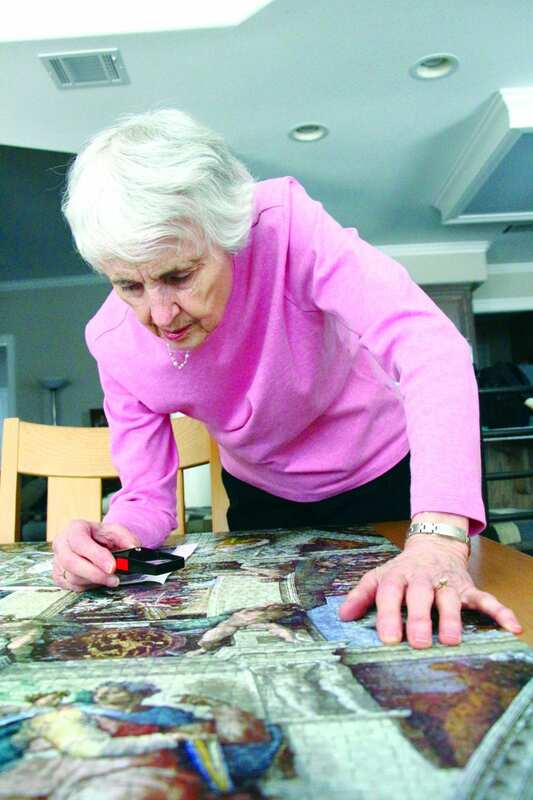 Amanda Simmons/Press-Tribune | Elizabeth Curran of Bossier City used a magnifying glass to view the details of the 5,000 piece Ravensburger puzzle she spent eight month assembling on her kitchen table. Almost immediately, she began assembling the puzzle on her dining room table. It took an hour just for Curran to sort the outside pieces, which is how she begins every puzzle. She spent every spare moment of her day working on it. “I probably walked around that table a thousand times,” she said. Curran knew the puzzle wouldn’t be completed quickly. She devised a plan to tackle the job at hand. The day finally came when she completed the puzzle. It took her eight months to do it. Now, she’s faced with a new challenge. Curran has no place in her home to display the puzzle. She’s looking for the perfect place for this “artistic beauty” to be displayed and enjoyed by the public. “I would love for someone to take it and show it off,” she said. When asked if she would ever work on another puzzle this size, Curran said definitely….but not any time soon.